It’s glow time! Project Skin and SkinCeuticals Canada are thrilled to announce the upcoming opening of SkinCeuticals by Project Skin: a destination for advanced skincare and expert skin treatments. 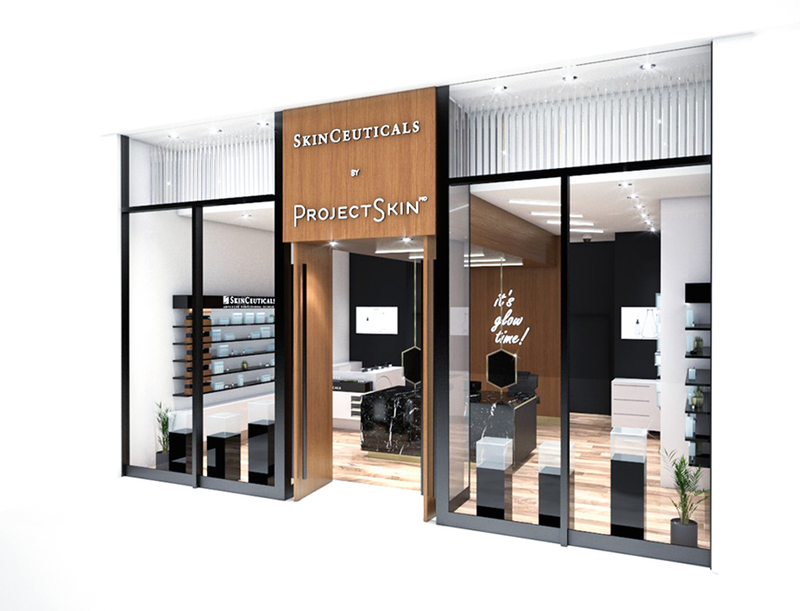 An expansion of their mothership location in South Granville, BC, Project Skin is opening their newest Professional Glow Room in CF Richmond Centre Mall in partnership with SkinCeuticals Canada. The first SkinCeuticals medical aesthetic boutique of its kind in North America, SkinCeuticals by Project Skin will host an acclaimed lineup of professional treatments tailored to help you achieve healthy, glowing skin. A perfect fusion of SkinCeuticals’ science and Project Skin’s legacy of skin innovation, the partnership is a match made in skincare heaven. The result? Advanced skincare backed by science and fuelled by soul. Advanced skincare and expert skin treatments. SkinCeuticals by Project Skin will deliver signature medical aesthetic treatments and clinically-proven products within an inviting, luxurious setting. Skin benefiting services will include both full and express peels, dermaplaning, MAX+ LED light therapy and advanced professional skincare all tailored to target individual concerns over aging, hydration, sensitivity and problematic skin. Open to the public on February 17, 2017, the SkinCeuticals by Project Skin Grand Opening weekend promises to deliver, with mystery rebate cards for the first 50 customers every day, Friday through Sunday, and a special appearance from bloggers Boyu Ba, @boyuba and Sydney Socias, @theworkinggirl.ca.